The answer is in the ALL IN ONE HAIR TRIMMER! ALL IN ONE HAIR TRIMMER is a compact and solid hair trimmer for easy and comfortable hair removal. This trimmer lets you trim your hair anytime, anywhere, for you to keep your professionally groomed look. With built-in light so that you can see clearly what you’re doing. It comes in a handy slim design allowing you to carry it anywhere with no hassles. ALL IN ONE HAIR TRIMMER is made with ABS, rubber, and stainless steel. With precision snap-on guides for superior control. It has two different ends, one for trimming nose hair, beards, sideburns, eyebrows, mustache, etc. ; the other end for haircut. Each end is equipped with two different sizes of comb attachment (2mm/4mm, 6mm, 1.5mm, 2.0cm), suitable for you to take control of the length you want with your hair.With built-in light and powered by 2 x AAA batteries (not included). Packed in a box powerful enough for the tough stuffs, but yet so gentle for the most sensitive skin. 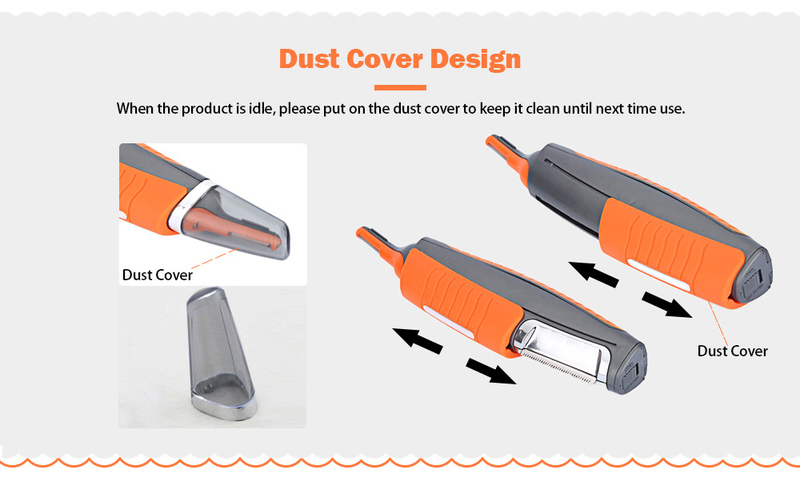 Note: The device will not turn on unless full-size trimmer head is locked in the down position. His beard after using this trimmer. It works well. Fast shipping. Well packed. He was happy and satisfied with this product. He said it didn’t hurt his skin at all. It’s not loud either. This is perfect for manscaping. The guards are the right sizes to do arms and legs. The nose hair trimmer is completely painless. It's waterproof and cordless so getting the close chest shave in the shower is easy and pretty quick for an electric shaver. 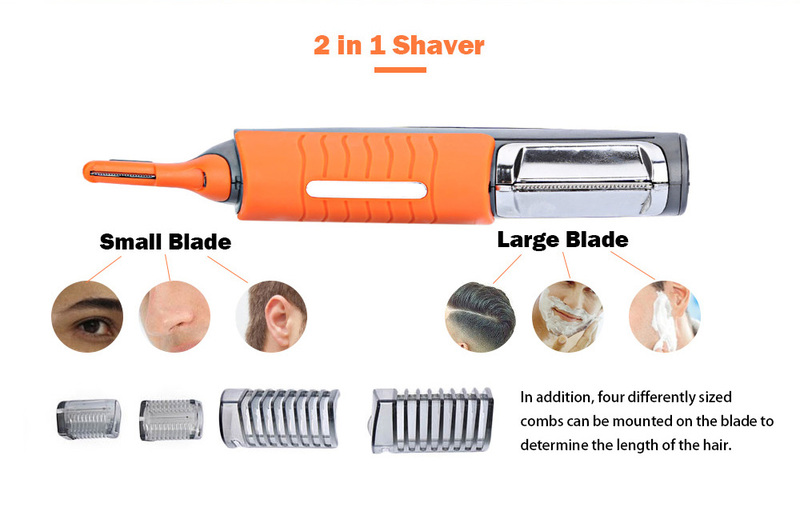 I never use the small clipper attachments but I guess they would be good for beard trimming. I like that all this is one unit with multiple attachments instead of having an entire shaver for just nose hair or just chest hair and the tray they give you makes it easy to keep things organized. This is the set I have always wanted! All in one, comfortable to hold, easy to use. Clean and accurate remove all beard, It does not hurt and it is advantageously different from other models that I've tried. The set is rather small, so I'll take it with me on my travels. I accidentally dropped trimmer under running water and to my surprise nothing happened: it continues to work! Judging by the battery capacity - Trimmer can be used for several weeks without recharging. Definitely recommend!